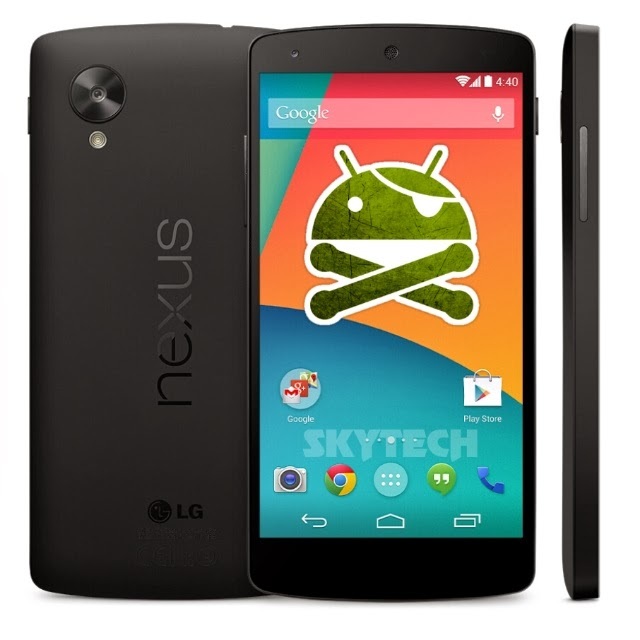 Google Nexus 5 which a step ahead from the Nexus 4. It is the first device to run on the latest Android 4.4 KitKat by Google. It has a Full HD display which is much better than the older generation. The phone is powered by a 2.3GHz quad core Qualcomm Snapdragon processor. The phone will give a pure android experience to the user. Chainfire at XDA have found a way to root the device and its quite simple. 2. Boot your device in bootloader/ fastboot mode by turning your device off, then holding VolDown+Power to turn it on. Then follow the on-screen instructions on both, the computer and the device. You will successfully root your device!